What a beautiful morning here in NE. 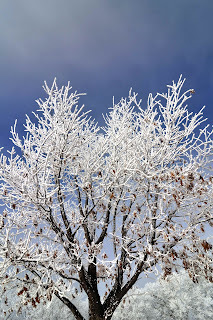 We have had a lot of fog that has left us with some beautiful frost. The sun came out for about 5 minutes. Only blue sky of the day.